To provide opportunities for children in need to acquire the education they would otherwise miss; and, by helping them to develop their individual potential, provide them with a better future. A society where every child is given the basic opportunities of education and security. To create a non-profit making, children's rights based social organization - achieved! To identify underprivileged children, particularly girls, orphans, and children from the lower castes, who will make the best use of continued full-time education - first groups identified - on-going! 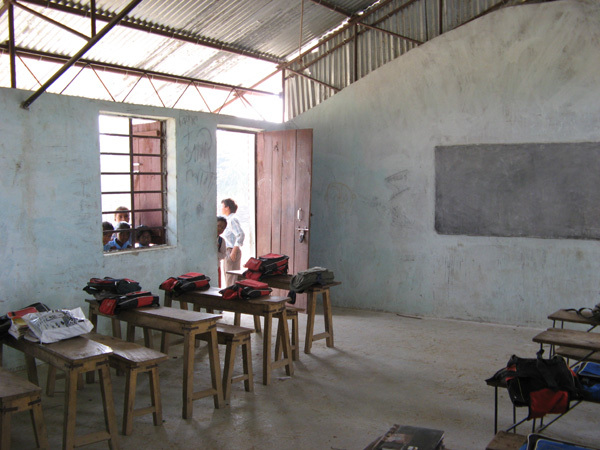 To provide assistance to keep the identified children in full-time education by providing school fees and funds for meals at school directly to the school - achieved and on-going! 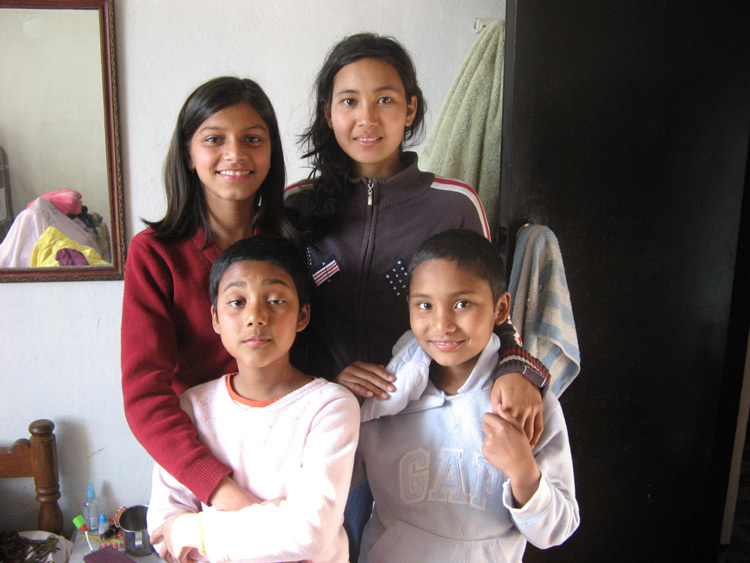 To found a home in the metropolitan area of Kathmandu valley where identified children may be given adequate shelter and care while they continue with their education. - first home achieved! 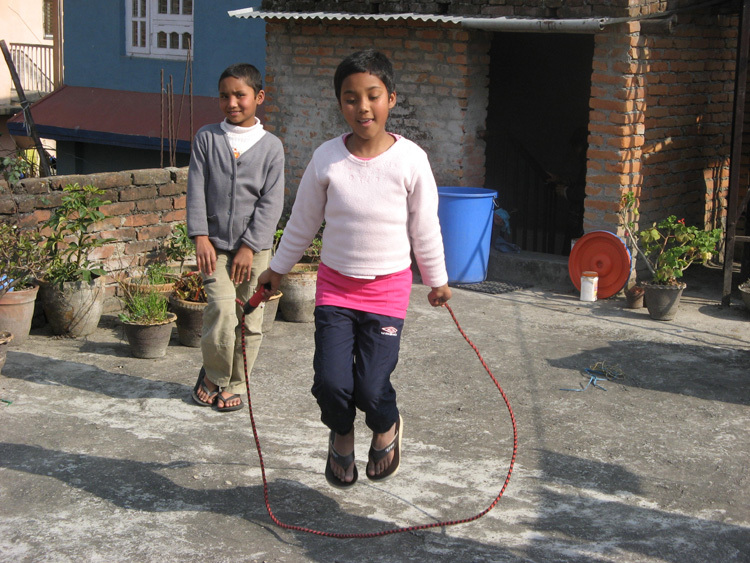 To provide assistance to schools in the region in which we work, to create links between schools in Nepal and the UK - materials including whiteboards delivered to the junior school at Dhanusha and the junior secondary school at Ramnager. View outside the home in Kathmandu. Three of the girls with one of our helpers. Clothes all donated by people in the UK. 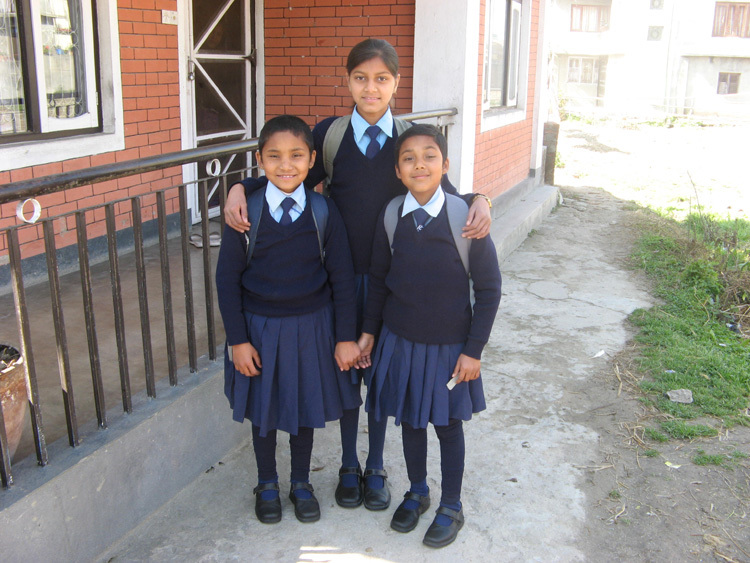 Three of the girls outside the home ready for school. 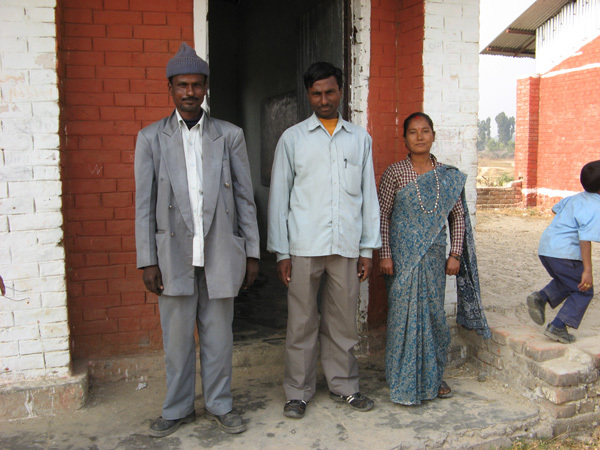 The headmaster and staff from the school near Janakpur. Staff opening educational materials given by a school in Surrey. Wearing the colours of a South Devon school. 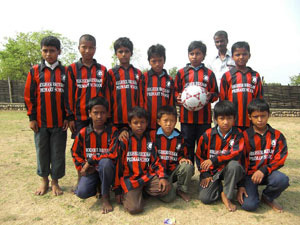 To support awareness-raising programs that uplift the status of disadvantaged children and lower caste women in society.